DBHIDS supports 5 agencies, led by Project Home to engage people living on the streets of Philadelphia. The other agencies are Horizon House, SELF Inc., the Mental Health Association of Southeastern PA and Hall Mercer Community Mental Health Center. The majority of the persons they engage are believed to suffer from behavioral health challenges, particularly co-occurring mental health and addiction challenges. DBHIDS has assisted with Permanent Supportive Housing for over 2,000 people in the last seven years, and continues to provide various services to prevent and reduce homelessness. While last year’s Point in Time Count found 173 people living on Philly’s streets, despite record cold, according to the U.S. Department of Housing and Urban Development (or HUD), homelessness has declined by 11percent since 2007 (when data from the Point in Time count started being collected). Philadelphia is hopeful that we can continue to engage people living on the streets to leave a life of homelessness and embrace recovery. During winter, DBHIDS’ Office of Addiction Services (OAS) funded outreach teams, Pro-ACT, New Pathways, and One Day at a Time, also assist in our collaborative outreach efforts. Many outreach staff are formerly homeless themselves and being a part of this mobilization gives them the opportunity to give back to the community and move forward in their own recovery. 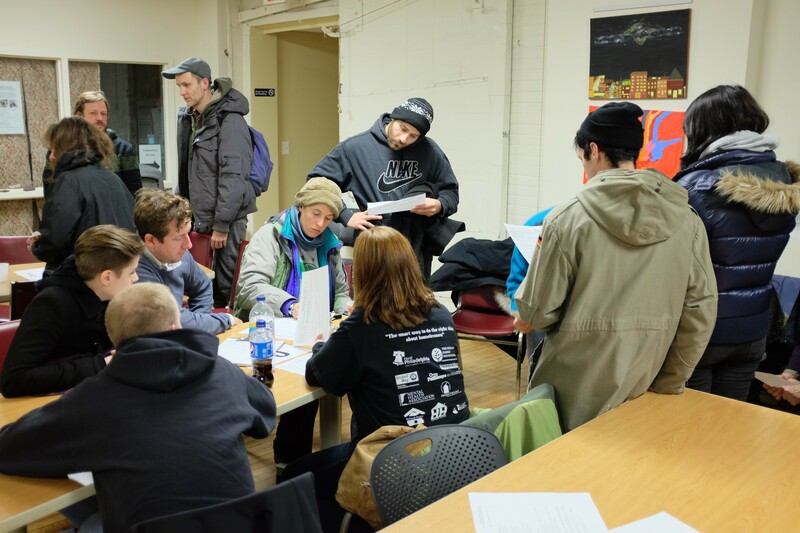 Outreach staff or peers, whom have experienced homelessness, often know first-hand what it means to be out in the cold and can offer hope that recovery and a life off the streets is not only possible but within their grasp. Call. 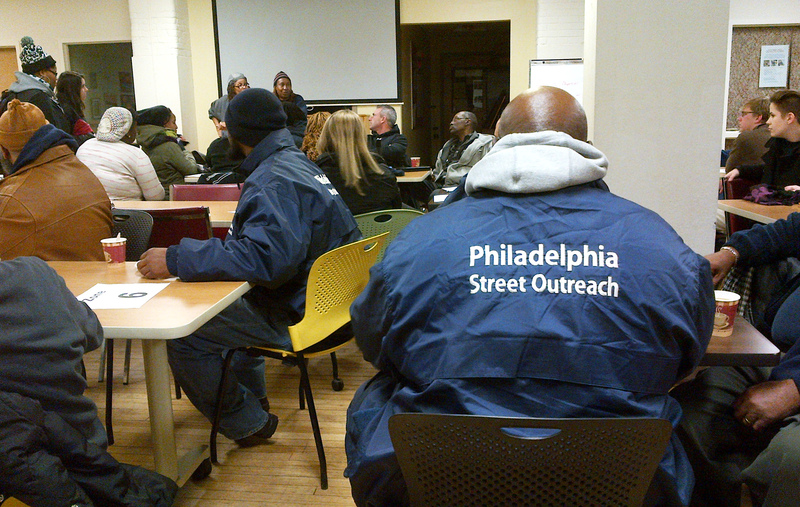 We encourage you to call our Street Outreach hotline, (215)232-1984, if you see someone living on the streets. Outreach line will assist in sending a team to engage the person and see how we can help them come inside. The vast majority of people living on our streets are in Center City and University City, so teams spend a lot of time in these specific neighborhoods. However, we also need the help of people outside of those areas to highlight other locations in Philadelphia where outreach efforts should be focused. Keep the number handy and share with your friends, family, neighbors, and so on to help spread the word. Donate. All of these agencies can use additional financial support. As you consider your holiday giving(s) and what you are thankful for, please consider making a contribution. Donations of coats, gloves, socks and other warm weather necessities are always welcome. Contact Project Home by calling, (215) 232-7272, or clicking here. Volunteer. The annual national count of persons experiencing homelessness, also known as The Point IN Time or PIT Count, is Wednesday January 21, 2015. If you have questions or want to get involved, click here. Please join us! Vote! It’s always important to participate and get involved in the process so your voice can be heard. Contact. DBHIDS has so much energy, dedication and talent. Feel free to reach out directly to DBHIDS to learn more about its homeless outreach efforts. Contact Bridgette Tobler and/or Marcella Maguire. Learn. Educate yourself! Check out the following web sites (see below) and ask questions. Many of our outreach staff have 10+ years’ experience doing this work and would LOVE to talk about what they do. for orientation shortly before heading out for the Fall 2014 street count.